Mr Ramasamy claimed no party will join hands with the AIADMK if it aligned with the BJP and exuded confidence that the Congress will come back to power in the coming Lok Sabha polls. Taunted by the Congress to face the coming Lok Sabha polls alone, the ruling AIADMK on Wednesday hit back, saying it was strong enough and prepared for fighting the elections on its own provided other parties in Tamil Nadu also go without allies. During the debate on the budget, Congress Legislature Party (CLP) leader KR Ramasamy said the AIADMK should prove its strength by facing the polls without allies, saying it has not faced a major election after the demise of late chief minister and party supremo J Jayalalithaa in 2016. The AIADMK had lost the only poll held after her death -- the December 2017 RK Nagar bypoll held to fill the vacancy created by her death, Mr Ramasamy said. He also made some remarks which seemed to indicate the AIADMK was under some kind of ''problem'' vis-a-vis a possible alliance with the BJP, to which Mr Panneerselvam shot back saying the party and the government were strong. 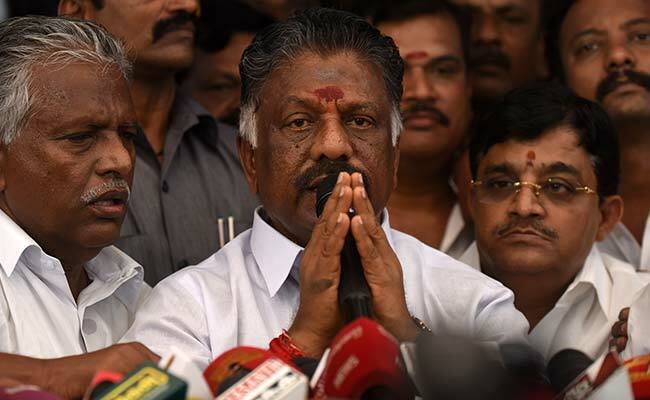 Mr Panneerselvam retorted saying following the "blow" dealt by DMK founder late CN Annadurai to the Congress by unseating its government in the state in 1967 elections, the national party has been riding "piggy-back" on one of the two major Dravidian parties -- AIADMK or DMK -- to face elections. alone if others also did so." Amidst reports that AIADMK was in touch with the BJP for a possible alliance for the parliamentary elections, O Panneerselvam had recently said the party was indeed holding talks with some national and regional parties. Meanwhile, AIADMK Deputy Co-ordinator R Vaithilingam, MP, Wednesday said the party was holding ''discreet'' alliance talks with parties, including the BJP. "Discreet discussions are on," and the outcome will be announced after the talks were over by party leaders O Panneerselvam and Joint Coordinator and chief minister K Palaniswami, he said. When asked about the parleys with BJP, PMK and DMDK, he said the "talks are on." Asked with which parties the AIADMK was holding discussions, Vaithilingam said "the parties you said now," indicating at BJP, PMK and DMDK.